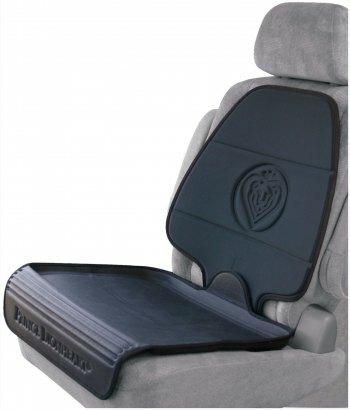 Prince Lionheart back seat KICKMAT keeps your car clean while your little one gets dirty. 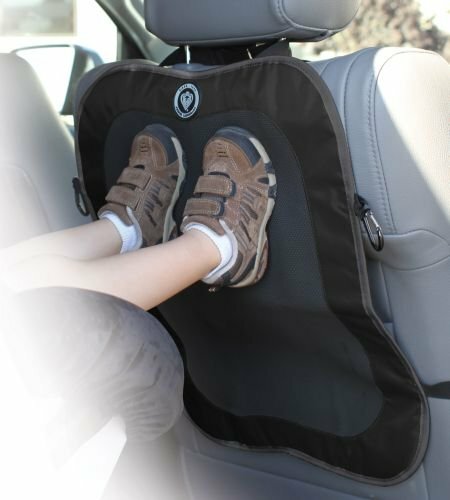 Protect seats from playful feet! Since our kids find it entertaining to occasionally kick the seat in front of them, we're guessing yours will too. When they do kick, the only lasting (term used loosely) impression will be our stern, yet loving words of disapproval, as the upholstery will be unharmed with the back seat kickMAT in place. Comes with 2 carabineers to attach favorite toys.